Meyer is 16 days old. 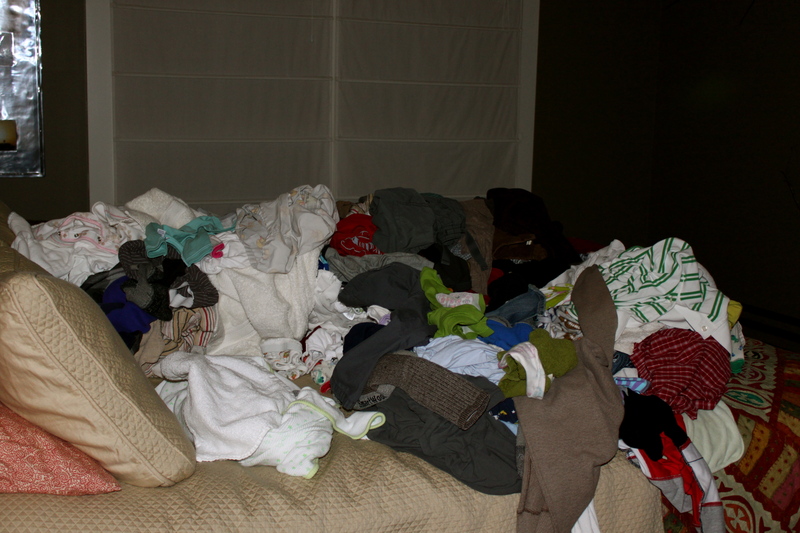 This is what happens when you don’t do laundry for 16 days…a saturday night date folding every piece of clothing in the house…. our bed ALWAYS looks like this….and then the clothes get tossed in the pack n play at night so we have somewhere to sleep! LOL!! feel free to come over if you need to get out of the house!! we are usually here!